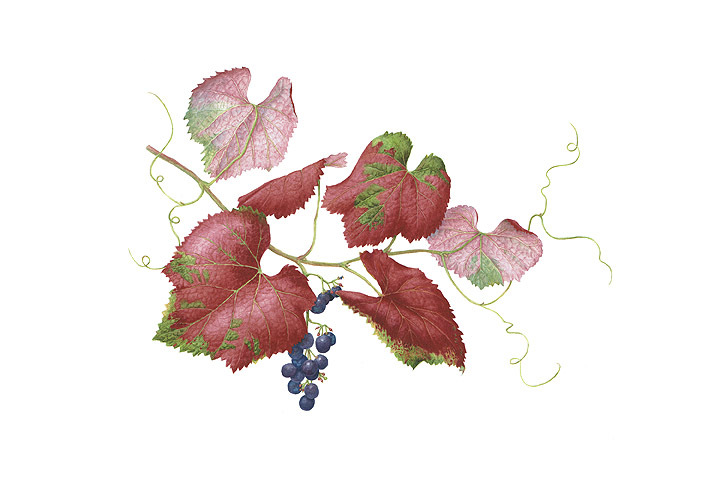 Roger’s Red Grape, watercolor by Lee McCaffree, © 2017. Leaves form the background for most botanical paintings. It is important to spend the time to make them accurate. We will work to make the veins and margins realistic in their finishing touches while following the form and texture of several leaves. This workshop will cover leaf-painting techniques using dry brush work, masking fluid, lifting and leaving the white paper. For more information about the workshop, sign-up, and the materials list, please see the BAGSC website “Classes” and “Class Details” page. Lee McCaffree is a botanical illustrator in watercolor. She shares the coordination and implementation of the Filoli Botanical Art Certificate Program and is a primary instructor. She served on the Board of Directors of The American Society of Botanical Artists. She gives regular private classes in the Bay area and instructed at the ASBA Annual meetings and the UC Berkeley Botanical Garden. She supports botanical artists by participating in coordinating teams for art exhibits and jurying. She began her career in London, England studying under Christabel King of Kew Gardens. She received Medals for showing her “Pinus” series and “Plants in Peril” series at the Royal Horticultural Society exhibitions in London. Her works are in the permanent collections of the Royal Botanic Gardens at Kew Collection, London, the Filoli Florilegium and Hunt Institute of Botanical Documentation; Lee won Best of Show at the Northwest ASBA Exhibition in Portland, OR. Her showings include juried exhibitions at Contemporary Art Center, MOMA-New York; Longwood Gardens; Hunt Institute, Pittsburgh; Seattle Science Center; Flinn Gallery Greenwich, CT; Horticultural Society of New York; Missouri, Chicago, Denver and UC Berkeley Botanical Gardens; Strybing Arboretum, CA; Arizona Desert Museum, New York State Museum; Johnson & Johnson Headquarters; Oakland Museum; Loveland Museum (Colorado); Filoli exhibits and Florilegium; Northern California Society of Botanical Artist’s Alcatraz Florilegium and other venues. 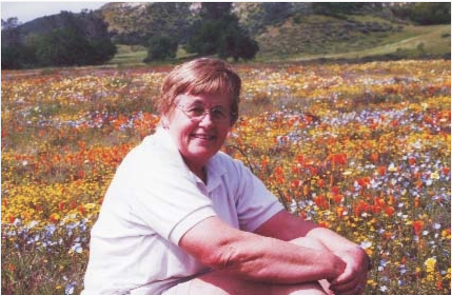 She created the poster for the California Native Plant Sale for the East Bay for ten years. Her work is published in Curtis’s Botanical Magazine, England and Today’s Botanical Artist. Her work was included in “Losing Paradise”, an exhibit of endangered species illustrations which traveled throughout the U.S and to the Shirley Sherwood Gallery at Kew Gardens, London. Currently, she is exhibiting in the Weird, Wild and Wonderful Traveling Exhibit from the New York Botanical Gardens. Lee’s work concentrates on native plants which she hopes will increase their visibility and use in public and private landscaping. Her skill as a botanical artist allows her to focus her creativity on the finest details of each plant she paints. Her enthusiasm inspires her students to develop their own skills and enjoy the creative process.